Police published a rare statement on Friday evening denouncing rumors on social media regarding how Ori Ansbacher was killed. “Since the murder that took place on Wednesday, various reports have been published, particularly on social media about the circumstances of the murder, including irresponsible horror descriptions,” the statement said. While the police did not say which rumors are false, messages rocketed around Israel on Friday describing contradictory circumstances of Ansbacher’s death. The 19 year-old Tekoa native was killed on Wednesday in Jerusalem’s Ein Yael forest, allegedly by 29-year-old Hevron native Arafat Afariah. 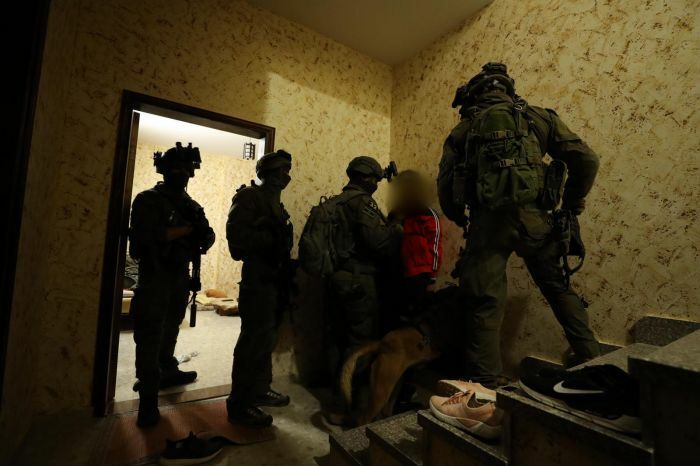 The Shin Bet security service said that Afariah set out from Beit Jalah armed with a knife on Wednesday and attacked Ansbacher, killing her. Ansbacher was laid to rest Friday afternoon. Ansbacher’s body was found stripped naked, with signs of extreme violence on the body. She was declared dead at the scene. Ansbacher is survived by her parents, Rabbi Gadi and Noa Ansbacher, and her siblings Tama, Tal, David, and Shuva. The victim’s parents mourned the death of their daughter earlier Friday, calling her a “sensitive soul” with an enormous capacity for giving.